St. Ephrem, "Harp of the Holy Spirit"
Today Mother Church celebrates the feast day of St. Ephrem, an early Church father who lived during the fourth century. He was intellectually gifted, but despite the great number of people who thought he should be a priest, he remained a deacon. 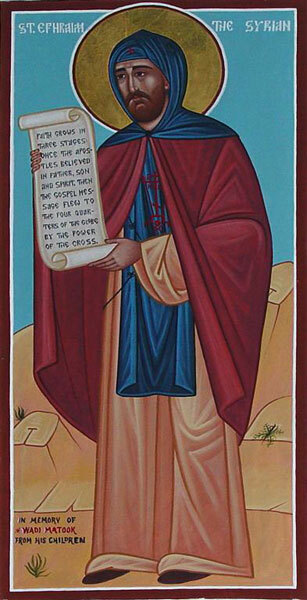 Ephrem wrote many sermons, hymns, and poems that express Catholic theology. Not only do they express our theology; they express it beautifully. To be a harp of the Holy Spirit means that we are the instruments of God in the world and we are supposed to amplify that which the Holy Spirit wishes the world to hear. And we must be in tune.